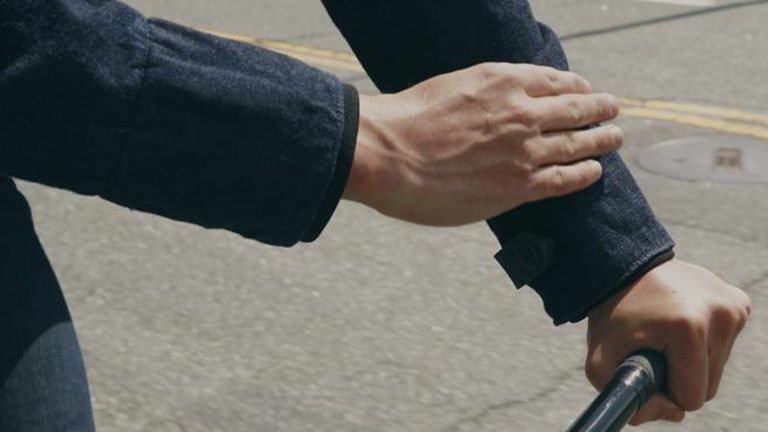 Levis and Google have teamed up to create Jacquard by Google, a smart denim jacket to pioneer the future of connected clothing. Now it’s been shown off IRL, confusingly also named the Levis Levis Commuter Trucker Jacket. The jacket was already teased at Google I/O, as Google Project Jacquard, but has now been confirmed as in production for a release that will mean anyone can own one of the smart jackets. So what is the Jacquard smart denim jacket? It was recently shown off at the SXSW festival called the Levi’s Commuter Trucker Jacket. This wearable, essentially, looks like a normal denim jacket but features Bluetooth connectivity built-in. The left cuff features a touch sensitive area that allows the wearer not only to tap but also to swipe as a way to interact with a connected smartphone. The idea is to allow for quick access to controls while on the move, say when cycling, without the need to remove a phone. Yup, something a smartwatch can do - but simplified even further. Controls possible from left cuff tapping and swiping include answering calls, playing music and more thanks to customisable gesture options. If you’ve got headphones connected to the phone there are lots of options available - swipe for directions to things nearby when navigating, for example. So how long does it last? Of course this is another device with a battery meaning another thing to charge. It lasts a mere two days, like a smartwatch, so expect to be plugging in plenty. The Levis Levis Commuter Trucker Jacket will be on sale this autumn for $350 (£285).